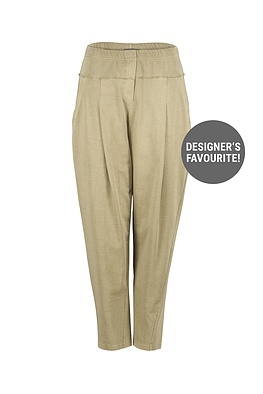 You will love these 7/8 length OSKA trousers – they have a narrow yet pleasant fit at the hips, have comfortably loose width at the thighs and taper off conically towards the hem. A broad all-around elastic waistband, the material and many other details play with the sporty look of jogging pants. 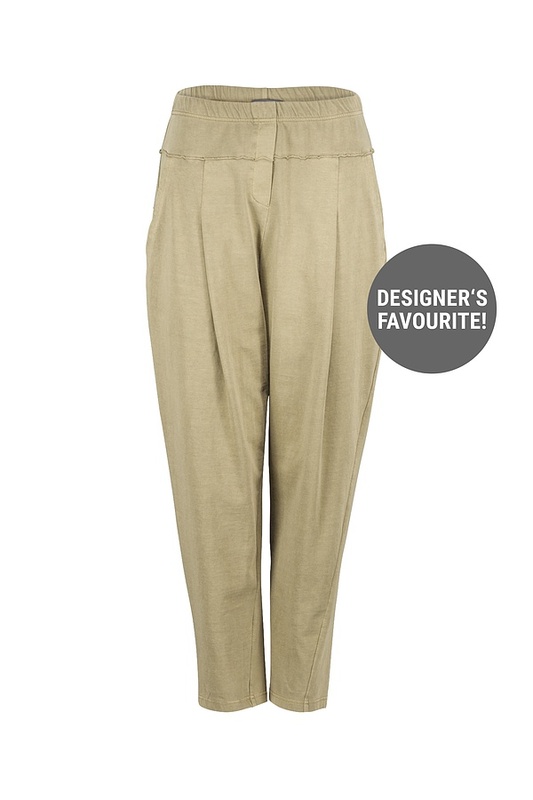 For a beautiful contrast combine them with a femininely playful blouse or a fine knitwear pullover.